The British government encountered more opposition to its plans for leaving the European Union in Parliament's unelected House of Lords. 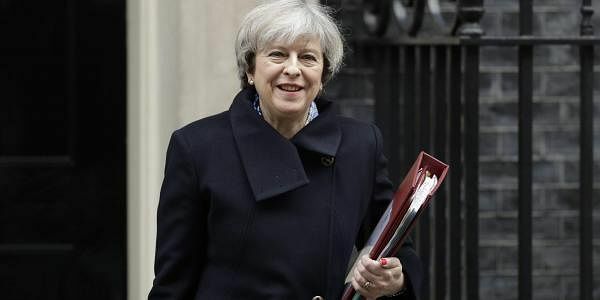 LONDON: The British government encountered more opposition Tuesday to its plans for leaving the European Union in Parliament's unelected House of Lords. By a 366-268 vote, the Lords passed an amendment to the government's Brexit bill requiring Parliament — not just the government — to approve Britain's exit deal with the EU. The chamber inserted another change last week, promising that EU citizens living in Britain can stay after the U.K. leaves the bloc. The changes may be temporary. Now that the Lords have passed the bill, it will go back to the elected House of Commons, where lawmakers could overturn the amendments next week. Prime Minister Theresa May's governing Conservatives have a majority in the House of Commons, but not in the Lords. May has promised that Parliament will get a vote on Britain's EU exit terms — but only on a "take it or leave it" basis. If lawmakers reject the agreement she obtains, the U.K. could stumble out of the EU without any deal in place. That's not good enough for many pro-European legislators. Michael Heseltine, a former Conservative Cabinet minister, said Britain faces "the most momentous peacetime decision of our time." Giving lawmakers a vote on the terms of Brexit would ensure "that Parliament has the critical role in determining the future that we will bequeath to generations of young people," Heseltine said. May wants to invoke Article 50 of the EU's key treaty, triggering exit negotiations, by March 31. She can't do that until Parliament passes legislation sanctioning the move, and pro-EU lawmakers have been determined to put obstacles in the government's path. Back-and-forth between the Commons and the Lords — a process known as "parliamentary ping pong" — could delay passage of the legislation and potentially threaten May's timetable for starting EU exit talks.